You could make the case that the Houston Texans flaws finally caught up with them. Not having Demaryius Thomas didn’t help and the running game became non-existent. Deshaun Watson was asked to do too much and DeAndre Hopkins was kept in check. 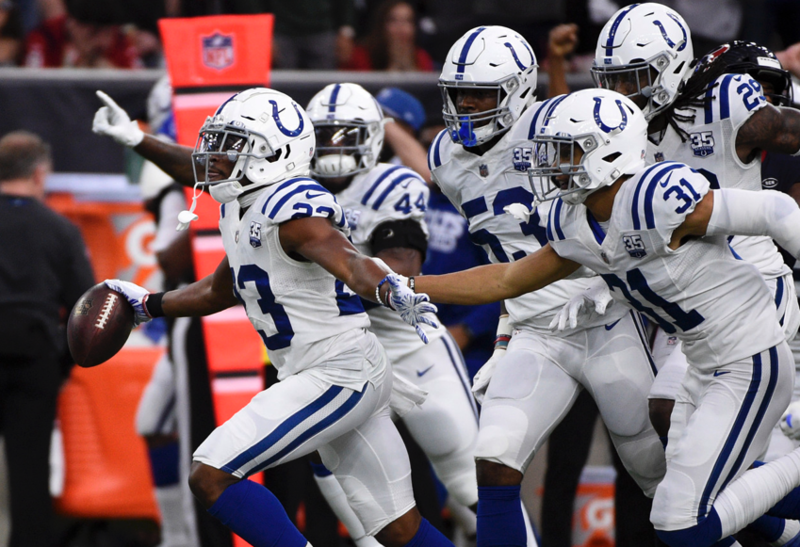 With that, the Indianapolis Colts deserve all the credit for the win. They scored two touchdowns rather quickly and their defense played their best game of the year. They won’t be underestimated by me nor should they by the Kansas City Chiefs. This team could be playing in the AFC title game. 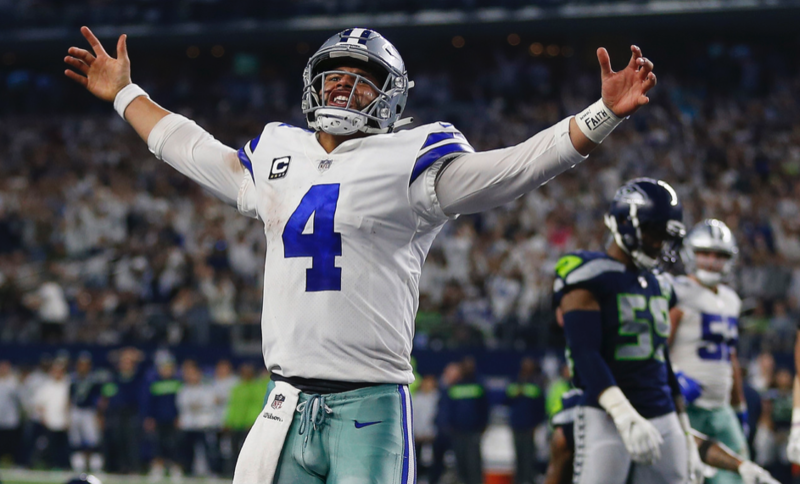 Some mistakes were made by Cowboys QB Dak Prescott, but he made plays when he had to and was calculated with his throws and scrambling opportunities. The other key was that Ezekiel Elliott was his usual self and dominated the game. At the time when he was drafted by Dallas many wondered if Elliott was taken too high. Legitimate question considering you don’t have to use a first round pick to get a great running back. Looking at Elliott’s brief three year career would indicate that he was well worth the slot he was chosen at. This Wild Card game also proves that the Cowboys would do it again in a heart beat. As long as they keep feeding him they will be in the game. 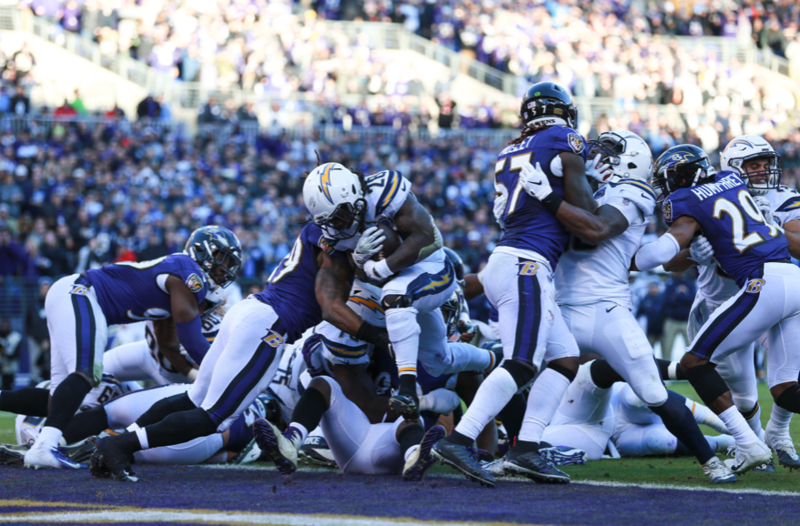 When the Los Angeles Chargers first played the Baltimore Ravens this season they were taken aback by their rushing attack. The Ravens ran the ball for over 150 yards. Lamar Jackson had over 200 yards passing, albeit 68 of which came on a touchdown pass to Mark Andrews. Regardless the Chargers weren’t prepared it seemed. This past Sunday the story was the exact opposite. Baltimore only had 90 total yards on the ground. Jackson accounted for 54 of them, but was under constant pressure by the Chargers. Philip Rivers also had a better game as there were no turnovers by him like the last game. This was the perfect example of a great team not letting the same mistake happen twice in the same season. In all honesty it should have never come down to a field goal for either team, but alas it did. Eagles QB Nick Foles didn’t have a great game, but throwing two touchdown passes, including the game winner proved valuable. The Bears defense had cause him to throw two interceptions, but only managed to score 3 points out of them. 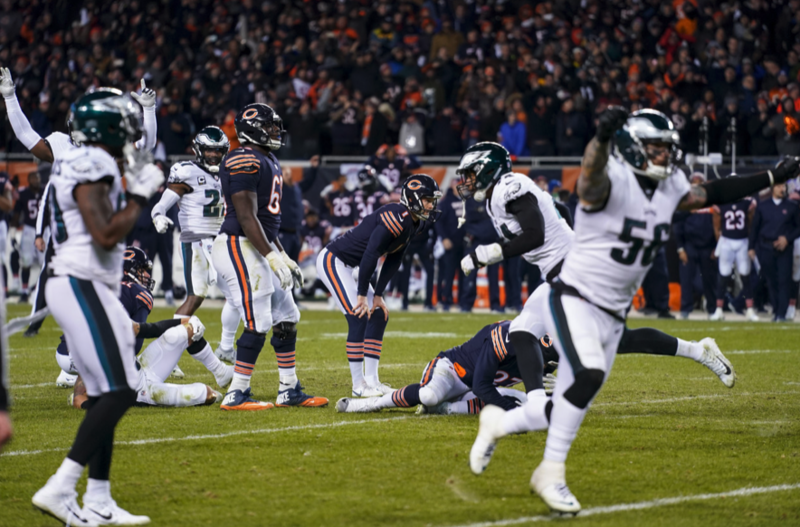 To be fair the Bears kicker Cody Parkey has handled the missed field goal with the utmost class. I’m not going to pile on him like others have and will continue to do so. When the ball hit the upright it still could have gone through. That crossbar can be unfair sometimes and this just proved that. It was a one in a million miss and most would take having two chances of making it.